Below are a few places you can leave us a review. We would really appreciate it! Very good shop. They care about doing a good job and will go the extra mile to make something right. Excellent customer service! Had Craig and the team fabricate a 40" portable man cave to use for corporate training of our field teams. Despite incredible fabrication quality, the unit was damaged in shipment...Craig and the team worked tirelessly to get the insurance settled and have me back and running ASAP. Great craftsmanship and service = WIN. These guys are the best!!! 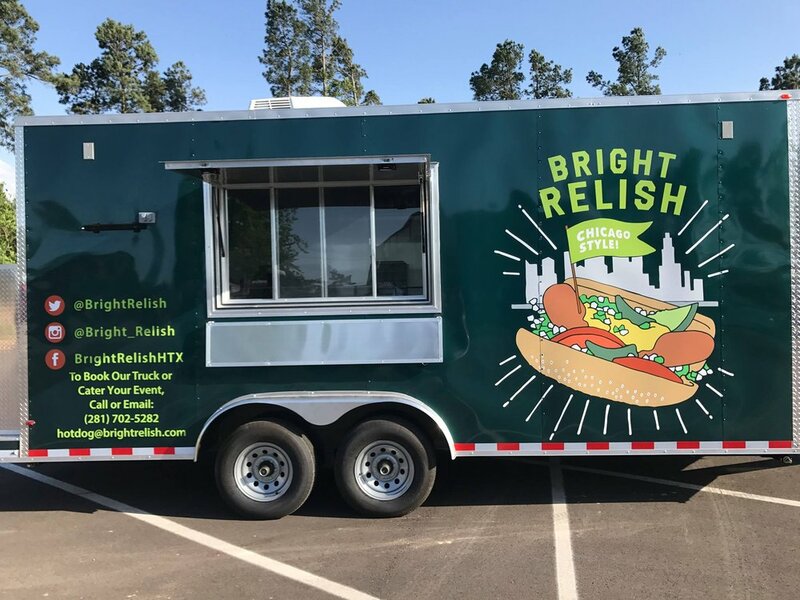 They did an amazing job on our food trailer and exceeded all of our expectations. You could not ask for a better team. They are so friendly and patient!! I would and will definitely recommend this company to everyone. Best group of guys EVER!!! This is exactly what I was looking for. I bought the 40 inch portable man cave. I've used it for my first 2 tailgates and I couldn't be happier. They built it to my specifications and had great recommendations. It only took 2 weeks to build and ship to me. It's quick and easy to set up with Dish Net and the Honda 2000 generator. Kyle and Craig were a pleasure to work with, they took all the guesswork out of the portable TV, satellite and generator conundrum. This kit significantly upgrades my tailgate. I'm quick to recommend Imagi-Motive. Whoa! Blown away by the level of professionalism, the quality of the workmanship, and peace of mind I had while working with the guys at Imagi-Motive! Kyle used his creative freedom and created a masterpiece I could have only dreamed of. Thank you so much Imagi-Motive, we thank God for y'all! You've been an answer to prayer and you've been a true blessing to us! The guys built a customer food trailer for me. This is my second but first with them. They finished it on time, at a price that could be beat. These guys know what they are doing and the only people i would trust with a build. They honor there warrinties and build a solid trailer.